2014 Suzuki Bandit 650SA. Picture credits - Suzuki. Submit more pictures. Edgy, futuristic styling that keeps the shapely 656 cm3 fuel-injected engine exposed for ready admiration. A well-tuned chassis with generous adjustability. Efficient half-fairing with handy storage bays. Optional antilock braking system. Stay ahead of the curve with the Bandit 650S�s all-round performance. 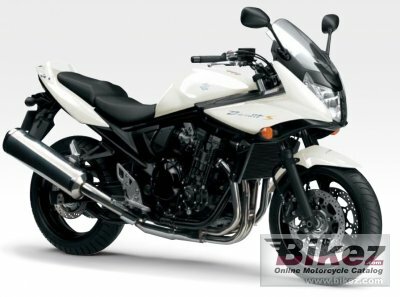 Ask questions Join the 14 Suzuki Bandit 650SA discussion group or the general Suzuki discussion group.